The air curtain, integrated in the automatic sliding door, prevents heat dispersion and stops pollution entering from the outside. It therefore guarantees a higher quality of the indoor environment, minimises draughts and significantly reduces energy consumption. The energy saving device recognises the direction of transit and optimises the opening and closing times. It understands, whether the potential customer intends to enter or not, thereby avoiding unnecessary air dispersion, even in case of cross traffic. Each automatic sliding door with the integrated AirSlide air curtain system is tested to guarantee 2 million cycles without the need for maintenance. 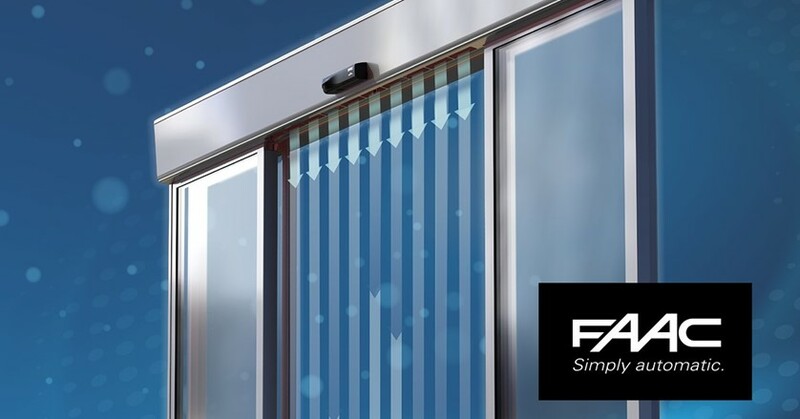 The AirSlide system is fitted with a special device that prevents the external air from entering when the leaves are closed and the air curtain is not in operation. The entire system has a standby power consumption of only 3 Watts when the leaves are closed and the air curtain is not in operation.